In this paper, we propose a defense method, Featurized Bidirectional Generative Adversarial Networks (FBGAN), to extract the semantic features of the input and filter the non-semantic perturbation. However, the computational cost of theadversarial training with PGD and other multi-step adversarial examples is muchhigher than that of the adversarial training with other simpler attack techniques. In this paper, we show how strong adversarial examples can be generated only ata cost similar to that of two runs of the fast gradient sign method (FGSM), allowing defense against adversarial attacks with a robustness level comparable to thatof the adversarial training with multi-step adversarial examples. Recently, an adversarial example becomes a serious problem to be aware of because it can fool trained neural networks easily. Instead, we model randomness under the framework of Bayesian Neural Network (BNN) to formally learn the posterior distribution of models in a scalable way. In particular, our results reveal the importance of using the temporal dependency in audio data to gain discriminate power against adversarial examples. Recently, researchers have started decomposing deep neural network models according to their semantics or functions. Deep neural networks are vulnerable to adversarial attacks, which can fool them by adding minuscule perturbations to the input images. 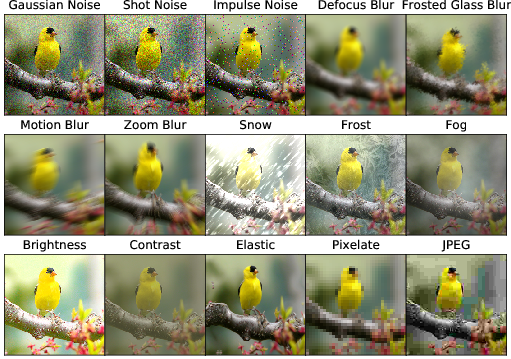 Adversarial examples are a challenging open problem for deep neural networks. In this paper, Permutation Phase Defense (PPD), is proposed as a novel method to resist adversarial attacks.